"Æsh" redirects here. For the calculator input method AESH, see hierarchical algebraic entry system. For æ in IPA, see near-open front unrounded vowel. For Cyrillic letter used for the Ossetian language, see Ae (Cyrillic). Æ (minuscule: æ) is a grapheme named æsc or ash, formed from the letters a and e, originally a ligature representing the Latin diphthong ae. It has been promoted to the full status of a letter in the alphabets of some languages, including Danish, Norwegian, Icelandic, and Faroese. As a letter of the Old English Latin alphabet, it was called æsc ("ash tree") after the Anglo-Saxon futhorc rune ᚫ ( ) which it transliterated; its traditional name in English is still ash /æʃ/. It was also used in Old Swedish before being changed to ä. In recent times, it is also used to represent a short "a" sound (as in "cat"). Variants include Ǣ ǣ Ǽ ǽ æ̀. 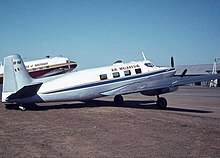 Vanuatu's domestic airline operated under the name Air Melanesiæ in the 1970s. In Classical Latin, the combination AE denotes the diphthong [ai̯], which had a value similar to the long i in fine as pronounced in most dialects of Modern English. Both classical and present practice is to write the letters separately, but the ligature was used in medieval and early modern writings, in part because æ was reduced to the simple vowel [ɛ] during the Roman Empire. In some medieval scripts, the ligature was simplified to ę, an e with ogonek, the e caudata. That was further simplified into a plain e, which may have influenced or been influenced by the pronunciation change. However, the ligature is still relatively common in liturgical books and musical scores. In the modern French alphabet, æ is used to spell Latin and Greek borrowings like tænia and ex æquo. It was greatly popularized in Serge Gainsbourg's song Elaeudanla Téïtéïa (i.e. "L, A, E dans l'A, T, I, T, I, A"), which is the spelling in French of the name Lætitia. The name Ælfgyva, on the Bayeux Tapestry. In English, usage of the ligature varies in different places. In modern typography, if technological limitations make the use of æ difficult (such as in use of typewriters, first telegraphs, or ASCII), the digraph ae is often used instead. In the United States, the problem of the ligature is sidestepped in many cases by use of a simplified spelling with "e", as happened with œ as well. Usage, however, may vary; for example, medieval is now more common than mediaeval (and the now old-fashioned mediæval) even in the United Kingdom, but archaeology is preferred over archeology, even in the US. Given their long history, ligatures are sometimes used to invoke archaism or in literal quotations of historic sources; for instance, words such as dæmon or æther are often treated so. The ligature is seen on gravestones of the 19th century, short for ætate ("at the age of"): "Æ xxYs, yyMs, zzDs." It is also common in formal typography (invitations, resolutions, announcements and some government documents). In Old English, æ represented a sound between a and e (/æ/), very much like the short a of cat in many dialects of Modern English. If long vowels are distinguished from short vowels, the long version /æː/ is marked with a macron (ǣ) or, less commonly, an acute (ǽ). In Old Norse, æ represents the long vowel /ɛː/. The short version of the same vowel, /ɛ/, if it is distinguished from /e/, is written as ę. In Icelandic, æ represents the diphthong [ai]. It follows "Z" in the Dano-Norwegian alphabet and is followed by "Ø" and finally "Å". All three are vowels. West of the red line, classic Danish dialects use æ as the definite article. In many western, northern and southwestern Norwegian dialects and in the western Danish dialects of Thy and Southern Jutland, æ has a significant meaning: the first person singular pronoun I. It is thus a normal spoken word and is usually written æ when such dialects are rendered in writing. In western and southern Jutish dialects of Danish, æ is also the proclitic definite article: æ hus (the house), as opposed to Standard Danish and all other Nordic varieties which have enclitic definite articles (Danish, Swedish, Norwegian: huset, Icelandic, Faroese: húsið (the house)). The dialects are rarely committed to writing, except for some dialect literature. The equivalent letter in German and Swedish is ä, but it is not located at the same place within the alphabet. In German, it is not a separate letter from "A" but in Swedish, it is the second-last letter (between å and ö). In the normalised spelling of Middle High German, æ represents a long vowel [ɛː]. The actual spelling in the manuscripts varies, however. Ossetic used the letter æ when it was written using the Latin script from 1923 to 1938. Since then, Ossetian has used a Cyrillic alphabet with an identical-looking letter (Ӕ and ӕ). It is pronounced as a mid-central vowel (schwa). The letter æ is used in the official orthography of Kawésqar spoken in Chile and also in that of the Fuegian language Yaghan. The symbol [æ] is also used in the International Phonetic Alphabet to denote a near-open front unrounded vowel like in the word cat in many dialects of Modern English, which is the sound that was most likely represented by the Old English letter. In the IPA, it is always in lowercase. Danish keyboard with keys for Æ, Ø and Å. On Norwegian keyboards the Æ and Ø trade places. When using the Latin-1 or Unicode/HTML character sets, the code points for Æ and æ are U+00C6 Æ LATIN CAPITAL LETTER AE (HTML &#198; · &AElig;) and U+00E6 æ LATIN SMALL LETTER AE (HTML &#230; · &aelig;), respectively. The characters can be entered by holding the Alt key while typing in 0198 (upper case) or 0230 (lower case) on the number pad on Windows systems (the Alt key and 145 for æ or 146 for Æ may also work from the legacy IBM437 codepage). In the TeX typesetting system, ӕ is produced by \ae. In Microsoft Word, Æ and æ can be written using the key combination CTRL + ⇧ Shift + & + A or a. On US-International keyboards, Æ is accessible with the combination of AltGr+z. In X, AltGr+A is often mapped to æ/Æ, or a Compose key sequence Compose + a + e can be used. For more information, see Unicode input. In all versions of the Mac OS (Systems 1 through 7, Mac OS 8 and 9, and the current OS X), the following key combinations are used: æ: Option + ' (apostrophe key), Æ: Option + Shift + '. On the iPhone, iPod touch and iPad, as well as phones running Google's Android OS or Windows Mobile OS and on the Kindle Touch and Paperwhite, æ and Æ are accessed by holding down "A" until a small menu is displayed. The Icelandic keyboard layout has a separate key for Æ (and Ð, Þ and Ö). The Norwegian keyboard layout also has a separate key for Æ, rightmost of the letters, to the right of Ø and below Å. The Latin letters are frequently used in place of the Cyrillic Ӕ and ӕ in Cyrillic texts (such as on Ossetian sites on the Internet). ^ Harrison, James A.; Baskervill, W. M., eds. (1885). "æsc". A Handy Anglo-Saxon Dictionary: Based on Groschopp's Grein. A. S. Barnes. 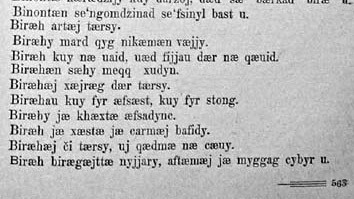 p. 11. ^ The spelling medieval is given priority in both Oxford and Cambridge Advanced Learner's Dictionary. Accessed September 22, 2014. ^ Merriam-Webster Advanced Learner's Dictionary. Accessed September 22, 2014. Look up Category:English terms spelled with Æ in Wiktionary, the free dictionary. This page was last edited on 2 April 2019, at 00:48 (UTC).